This Beechwood Wildness Review happened after meeting this creative family at TheHolisticBeautyExperience.com. Having flown in from New Brunswick, Canada to attend! I couldn’t wait to check out their table and products! 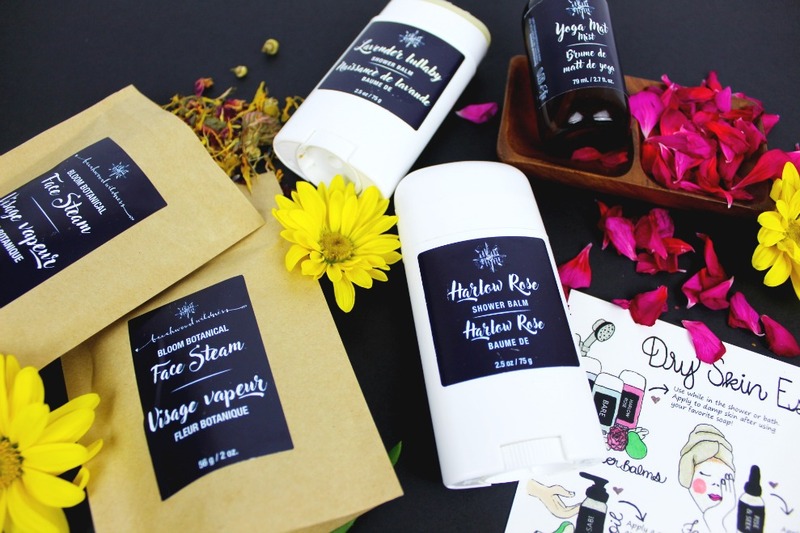 Beechwood Wildness’s slogan: WILDLY CRAFTED SELF CARE! Down to their delicate logo (referencing childhood memories. Get the entire story on their website!) 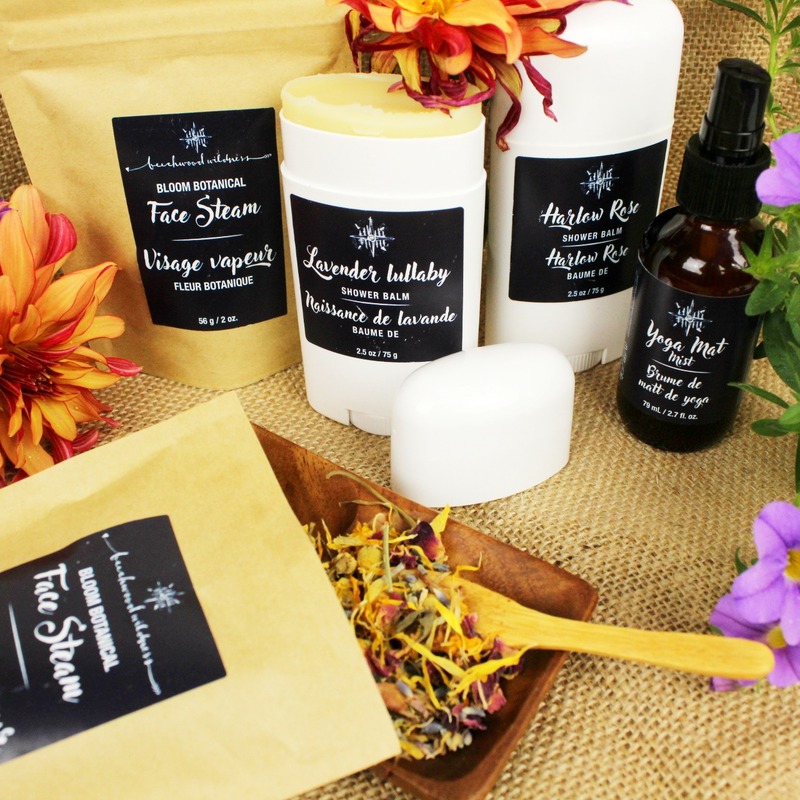 BeechwoodWildness.com is personal, perfected, pretty skincare. If you’re not a fan of videos, no worries. Keep reading for the full Beechwood Wildness review below! Instantly, I fell in love with this company! Based partially on the fact, owner CASEY, closely shares her company’s personal stories. Including the endless hours of love her mother gives to help Beechwood Wildness grow! Maybe cause I’m a new mom to a baby girl. Their bond and love for their products alone had me sold. When I first saw their table and green, rustic set-up. WOW! Sincerely, beautiful, earthy displays. Handmade post cards with skincare tips (also for sale on their website). Everything displayed, was lush and lovely! Huh, shower bombs? Yes, they are just that! Balms that you apply all over your body/skin while in the shower! Why? These bars lock-in moisture. 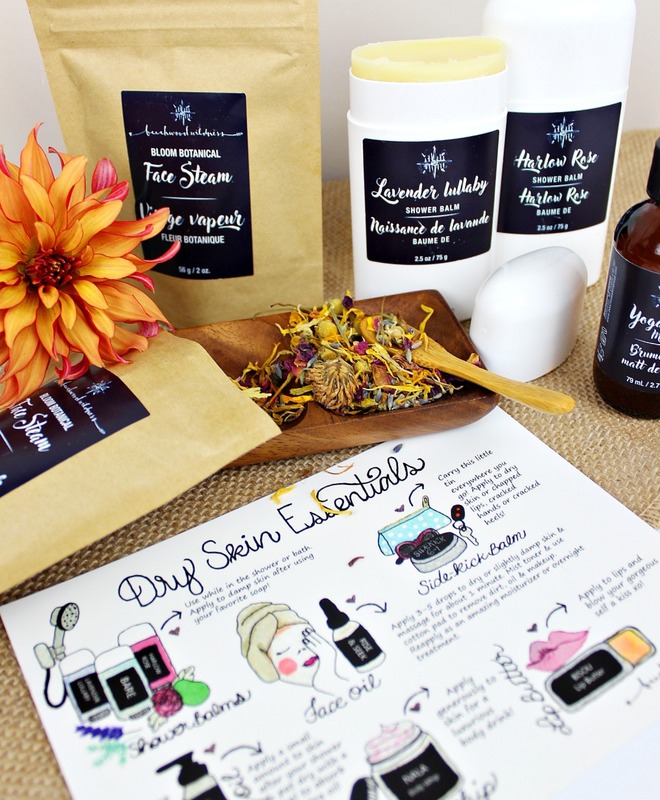 Forget dry, sad, after shower skin! I scored the LAVENDER LULLABY + HARLOW ROSE scents. Smell wise? Not too strong. But, in the heat of a shower, then scent intensifies. Big fan of this “moisturizing in the shower” concept! Plus, the price, only $14CND per bar! Never heard of face steams? First, they rule! 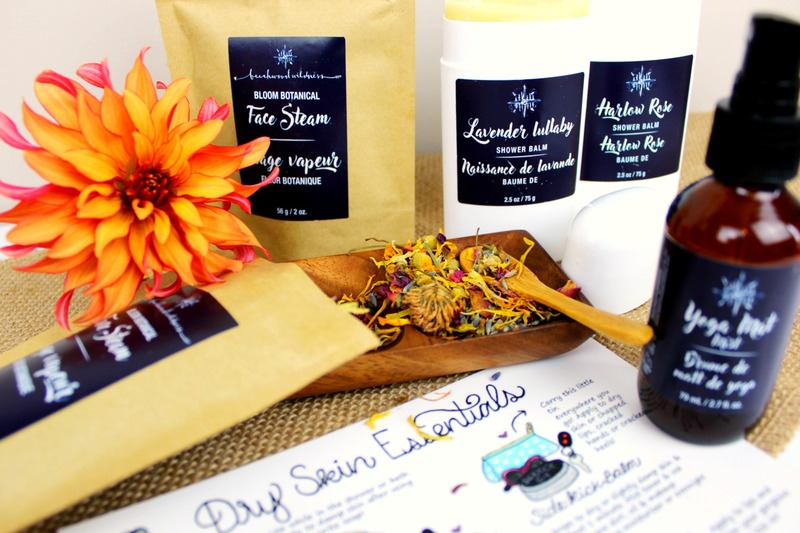 Pretty much, it’s a beautiful blend of herbs, flowers, etc… Created to be steamed onto your face lol How is this done? Directions: Add botanicals to steaming hot water. Create steam tent by placing towel over head and enjoy face steam for 5- 15 mins. Breathe deeply. I predict, face steams will be BIG in 2018 – Beechwood is ahead of the game. This is one of my fav skincare finds this year so far! A handy, multi-purpose mist you want in a gym bag! We all know our mats can get nasty. Spray this blend of TEA TREE, EUCALYPTUS + ORANGE OILS to help fight bacteria and microbes. Plus, there’s witch hazel in there! Which acts as a mild astringent. 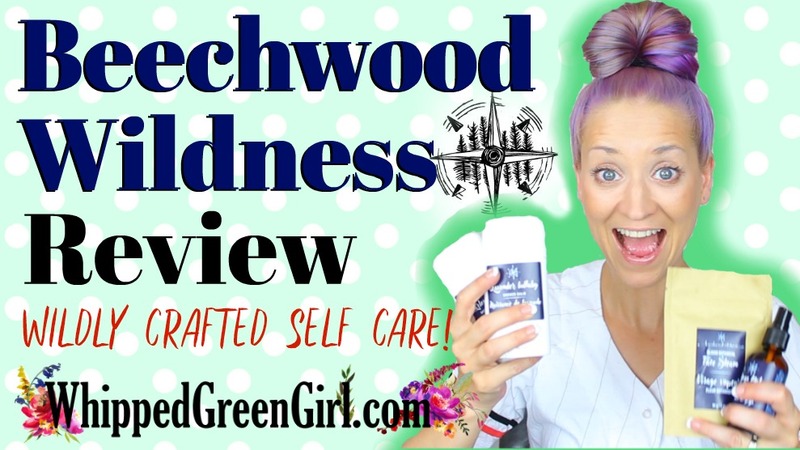 Beechwood Wildness is why I love natural skincare. Simple, affordable, but SUPER effective blends. If this was the last skincare hustler on earth. We’d all have beautiful skin – sincerely! Handmade, in New Brunswick, Canada. BeechwoodWildness.com is worth looking at! Even if you’re too broke to shop. It’s just beautiful to look at. Pictures of each product have personality. Thanks for watching or reading my Beechwood Wildness Review! Until next time, see my other PRODUCT REVIEWS if you fancy!